This sumptuous ring from the Onyx Envy collection by Tacori is a fresh approach to fashion. 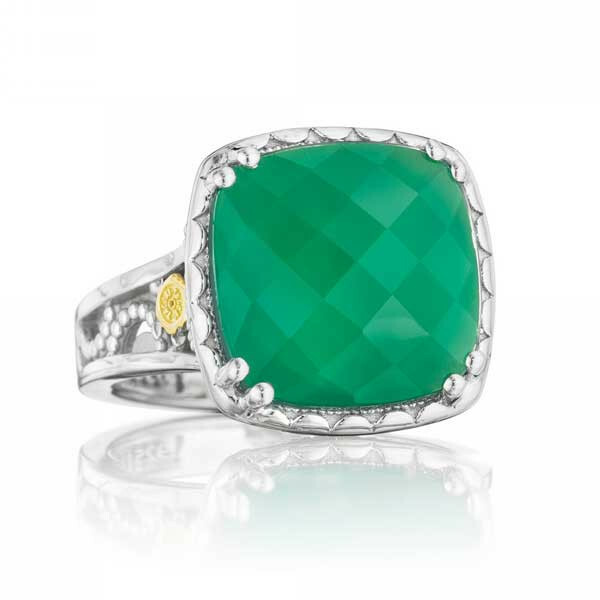 Surrounded by the sterling silver crescent design, a fabulous green onyx layered with clear quartz is the focal point of this sensational piece, and the sterling silver band adds a subtle flair with intricate milgrain detailing. You'll fall in love with the look of this magical Tacori ring.